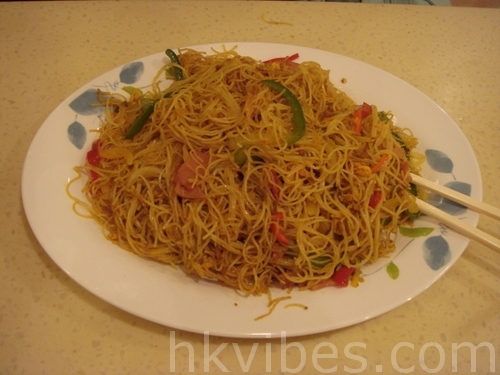 Today’s meal is not from Hong Kong but can be found in every cha chan tan: it’s Singaporean noodles. Singaporean noodles can be more or less spicy depending on the restaurant you order it in, but it’s usually eatable by everyone. Said in Cantonese, it sounds like “Seng tsao chao mae“: next time you sit down at a cha chan tan, don’t hesitate to call the waiter and try to order this meal! It looks great. I love food like that here in New York.